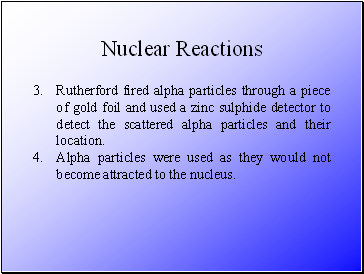 Alpha particles were used as they would not become attracted to the nucleus. Rutherford found that 1. Most of the alpha particles passed through the gold foil undeviated, 2. 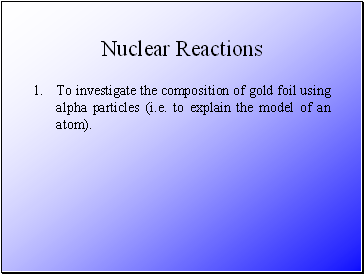 A few alpha particles were deviated from their path but continued through the gold foil, and 3. A small number of alpha particles rebounded. 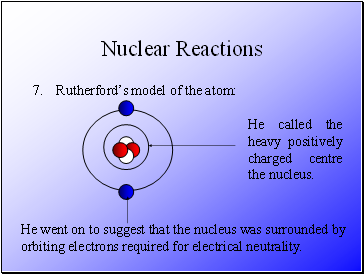 Rutherford concluded that 1. most of the atom was empty space, 2. 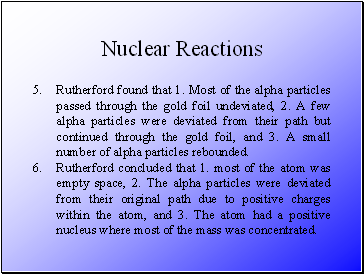 The alpha particles were deviated from their original path due to positive charges within the atom, and 3. The atom had a positive nucleus where most of the mass was concentrated. He called the heavy positively charged centre the nucleus. He went on to suggest that the nucleus was surrounded by orbiting electrons required for electrical neutrality. 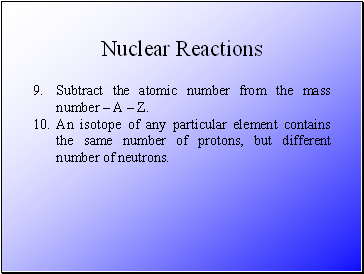 Subtract the atomic number from the mass number – A – Z. 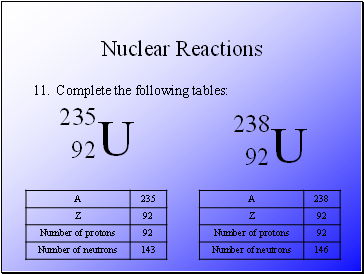 An isotope of any particular element contains the same number of protons, but different number of neutrons. 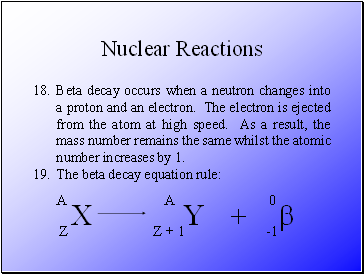 Radioactive decay occurs when unstable atoms become stable by emitting particles and energy. 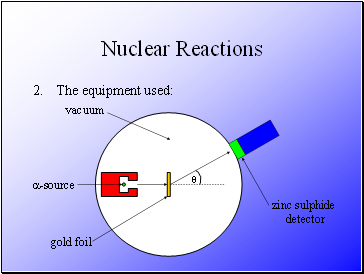 Energy is always produced as a result of radioactive decay. 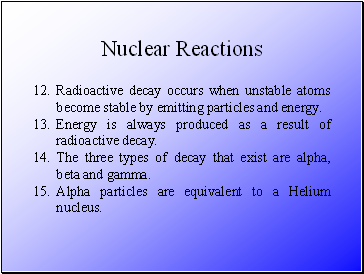 The three types of decay that exist are alpha, beta and gamma. 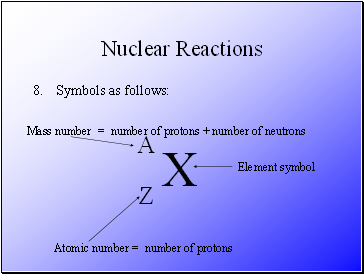 Alpha particles are equivalent to a Helium nucleus. 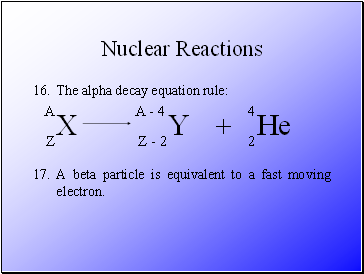 A beta particle is equivalent to a fast moving electron.